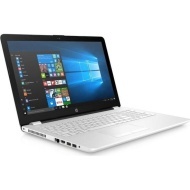 alaTest has collected and analyzed 21 reviews of HP 15-bw068sa. The average rating for this product is 3.1/5, compared to an average rating of 4.1/5 for other products in the same category for all reviews. People really like the size and screen. The design and portability are also appreciated, whereas some have doubts about the energy efficiency and sound. We analyzed user and expert ratings, product age and more factors. Compared to other products in the same category the HP 15-bw068sa is awarded an overall alaScore™ of 85/100 = Very good quality. Ideal for university/college work. Great storage. Very fast after all the apps on the laptop have finished installing. Battery life could be better but it definitely shouldn’t stop you buying this amazing laptop. That’s me being very picky. Brilliant for all daily use. Long battery life and screen is big enough to work on photoshop without needing an extra monitor. Very light weight and keyboard nice to use too. Performance is poor. You should get much more performance for the money these days, its not the 90's anymore. My phone has more power. Easy to set up on first use. Don't need full version of Microsoft Office, so maybe should offer a basic 'Word' and 'Excel' package. Slow start up Slow processor Even though there are no programmes yet on the laptop, even trying to open a browser takes a long time.